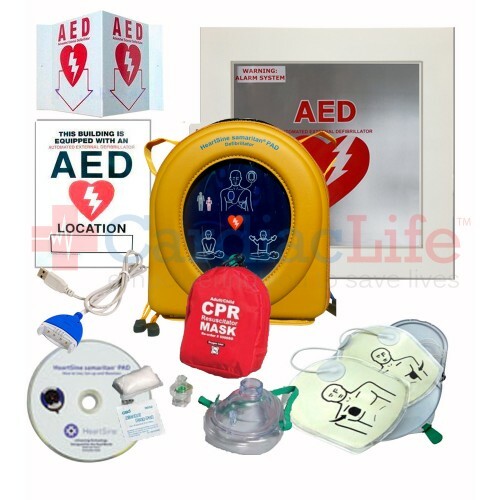 The HeartSine samaritan PAD 350P AED with CPR Training comes with all the supplies needed to save a life in case of Sudden Cardiac Arrest. 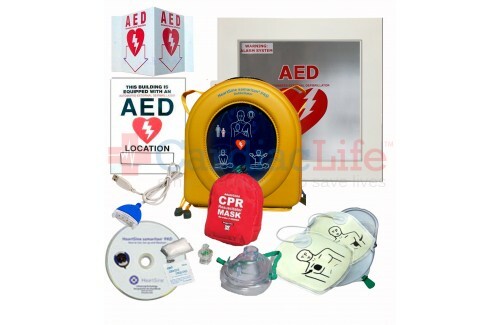 The HeartSine samaritan PAD 350P AED is clinically advanced, lightweight, compact and easy-to-use. Audio and visual prompts guide the user step by step through the rescue process.